Our Concrete and Asphalt paving teams are specialists. We understand that some customers need both Asphalt and concrete on their job. 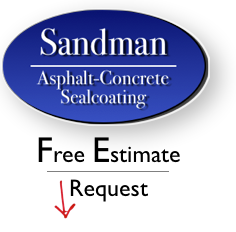 So whether you need Asphalt or Concrete driveway paving or Parking Lot repair and maintenance, we’ve got you covered. For 20+ years years, we’ve been paving the area. In fact, you’ve probably seen our trucks or parked on some of our work! Asphalt repair- We Patch, fill Cracks, Level your problem areas, and fix drainage problems. New Driveway construction- We’ll build a fresh driveway or do a total remove and replace. Driveway sealing- We’ll Seal coat your driveway, to look fresh and last longer. Driveway paving- We can do overlay to complete remove and replace. Our Team of Concrete contractors are also here to help with any of your paving needs. Whether you need new installation, repair or any additional work, we can help. Parking Lots are a large market in our area. We have numerous maintenance programs designed to fit your property. Our goal is to cost effectively improve the look, and functionality of your surface. Our experienced team of Asphalt contractors are here and ready to get to work for you. For a great quote with excellent service, complete the form on the right side of this page or give us a call. You have definitely found the right Elgin paving company! We are very proud of our A+ Better Business Bureau rating and look forward to talking to you soon.